News with the passing of Captain Leslie C. Jacobs has reached us....Captain Jacobs joined National Airlines 01-01-1979, then flew for Pan American, and was based QNY/030 with Delta Air Lines at the time of his retirement. Captain Jacobs was widowed in 2005 with the passing of his wife Emily Coker Jacobs. He is survived by his children and grandchildren. Leslie Charles Jacobs, 66, died Sunday, March 15, 2015. He is survived by his loving children: Karin Jacobs Woodruff (Chad), Leigh Jacobs Willingham (Lee) and Rebecca Jacobs. Surviving grandchildren are Addison Hope Woodruff and Charles Parks Woodruff. He was preceded in death by his wife, Emily Coker Jacobs and his parents, Dr. Allen C. Jacobs and Hope Jacobs and brother, Dr. Parks Jacobs. Surviving are his siblings: Cleve Jacobs (Patti), Jean Hope Buckner (Bob), Dr. Mitchell Jacobs (Sandi), Lucy Millican (Jay), sisters-in-law Suzanne Coker Berry (Steve) and Marybeth Coker Pitman (Eddie) and companion Emily Robbs Conover. Leslie is also expecting his third beloved grandchild in April 2015. Leslie was a member of the Talladega High School Class of 1966 and graduated from the University of Alabama in 1970. While at the University, he was a member of the Varsity Tennis Team and later admitted into the A-Club. Leslie was a veteran of the United States Air Force and enjoyed a long decorated career with National Airlines, Pan-Am and Delta as a Captain flying around the world. 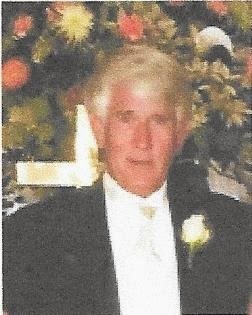 He was an active member of the First Presbyterian Church of Talladega and Caravan Men’s Sunday School Class. Funeral services will be 3:00 p.m. at First Presbyterian Church of Talladega on March 18, 2015 with the burial following at Oak Hill Cemetery. The family will receive visitors from 1:00 – 3:00 p.m. at the church. Pallbearers: Andy Brown, Jack Edmiston, Charlie Gaines, Joe Hare, Chuck Keith, Julian King, Robert Lumpkin, Anthony Meacham, Jake Montgomery, Brit Parker, George Sims and Patrick Thornton. Honorary Pallbearers are members of the Caravan Men’s Sunday School Class. The family requests that, in lieu of flowers, contributions can be made in memory of Leslie Charles Jacobs to First Presbyterian Church of Talladega or Presbyterian Home for Children in Talladega, Alabama. Funeral service for Emily Coker Jacobs, 56, will be Friday, June 3, at 1 p.m. at First Presbyterian Church in Talladega with the Reverends Bill Gandy, Minnie Stovall and Leeann Scarborough officiating. Interment will be in Oak Hill Cemetery. Mrs. Jacobs, a native and resident of Talladega, died May 30 at Baptist Medical Center-Montclair in Birmingham. She was a graduate of Talladega High School, Auburn University, and was a member of Alpha Delta Pi sorority. Since 1991 Mrs. Jacobs was a nursery school teacher at the Episcopal Day School. She was an associate member of the Talladega Junior Welfare League, a member of the Argus Study Club, and a long-time supporter and volunteer of the Talladega Pilgrimage Council. Mrs. Jacobs was an active member of the First United Methodist Church where she taught children's Sunday school and Bible school, was past secretary of the Church Council, and served on many other committees and in many capacities. Mrs. Jacobs was preceded in death by her father, Oliver Coker. She is survived by her husband, Leslie Jacobs of Talladega, three daughters, Karin Woodruff (Chad) of Talladega, Leigh Willingham (Lee) of Gulf Breeze, Fla., Rebecca Jacobs of Blackwood, N.J., and one granddaughter, Addison Woodruff. Also surviving is Mrs. Jacobs' mother, Beth T. Coker of Talladega and two sisters, Suzanne Berry (Steve) of Birmingham and Marybeth Pitman (Eddie) of Pensacola, Fla. Other survivors include two aunts, Ann Tyler of Charlotte, N.C. and Mary Brown of Talladega, as well as numerous nieces and nephews. Pallbearers will be Jeff Blanton, Rick Bliss, Joe Chastain, Wallis Elliot, Frank Hubbard, Jason Smith, Patrick Thornton and Drew Wood. Honorary pallbearers will be the Caravan Class. The family will receive friends Thursday evening, June 2, from 6-8:00 p.m. at the funeral home. The family asks that memorial donations be made to the First United Methodist Church in lieu of flowers. Usrey Funeral Home of Talladega will direct the service.